Boulder X Mid Gore-Tex са средна височина, водозащитен и дишащ, олекотен модел обувки, идеален за техничен подход и преходи. Обувките са специално направени за планински спасители и алпийски водачи. 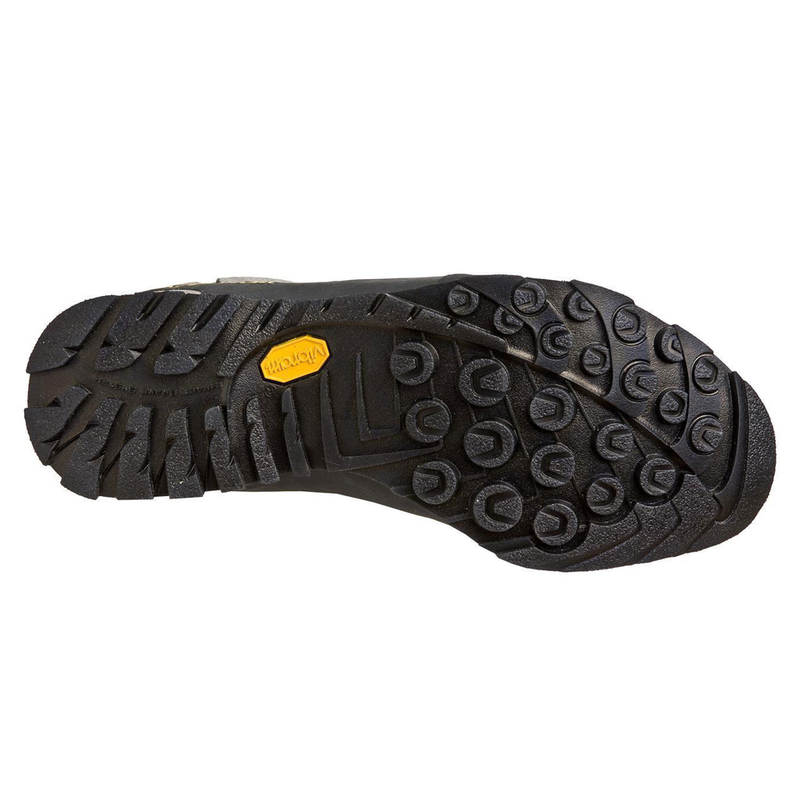 The uppers feature a full rubber rand for protection against knocks and abrasion. 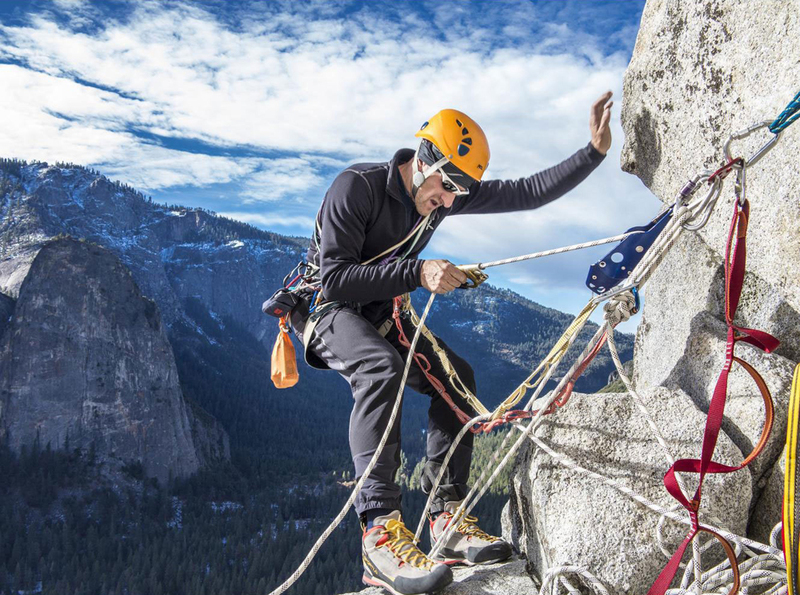 The Gore Tex lining guarantees optimum climate controlled comfort even after tough hiking. The patented lacing system derives from the Mythos project. The high cushion 2 mm EVA layer cushions the foot, guarantees a high level of shock absorption and enhances the overall comfort of the shoe. The Vibram Sole with Impact Brake System is equipped with a climbing zone at the toe for maximum grip when climbing. + Gore-Tex waterproof and breathable lining guarantees optimum climate control. 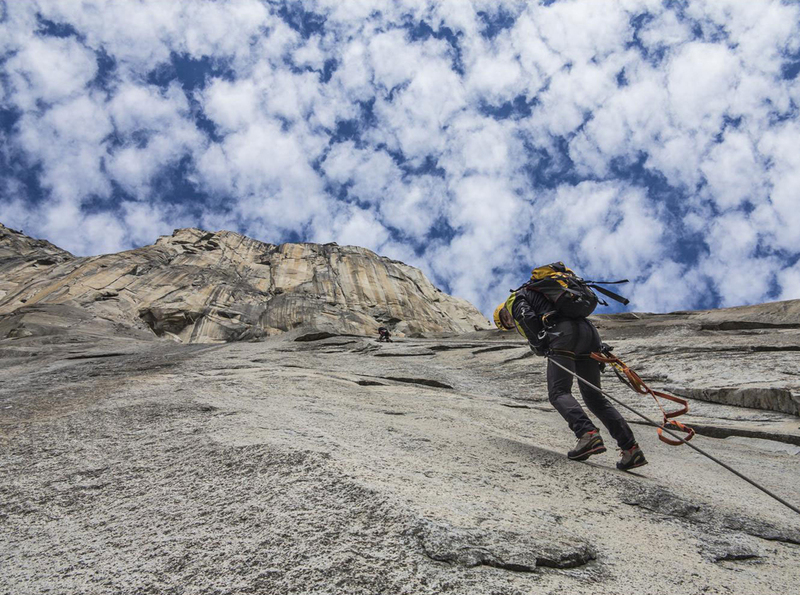 + Patented lacing system derives from the Mythos climbing shoe project. 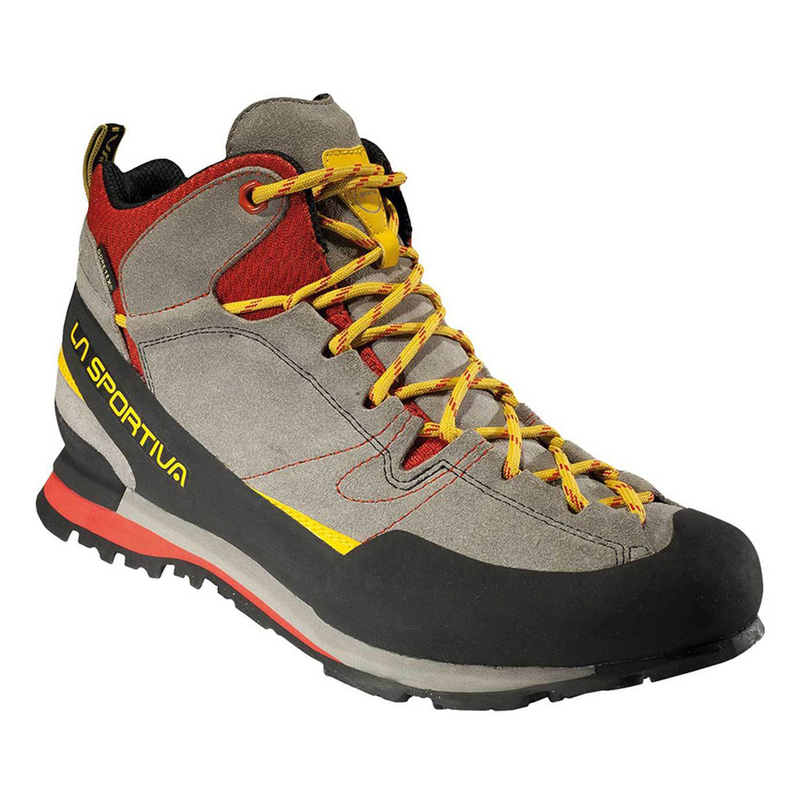 + Vibram® Impact Brake System sole and climbing zone for even greater grip when climbing. + Reinforced uppers with all-around rubber rand protection. - Upper: Suede Leather with rubber rand protection. - Lining: Gore-Tex® Extended Comfort. - Midsole: Graded microporous midsole. - Insole: Shock absorbing EVA 2 mm insert. - Sole: Vibram® Impact Brake System. Long Distance Socks Ocean / Flame 22 лв.